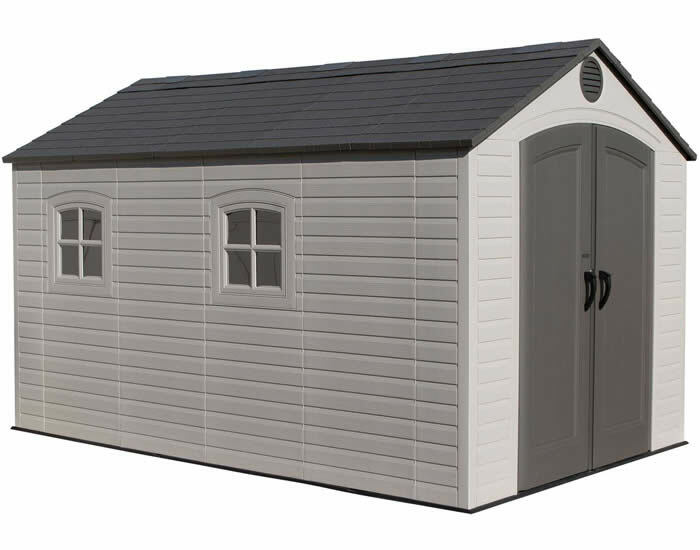 Our Globel 10x12 gable shed offers a perfect solution for your outdoor storage needs. 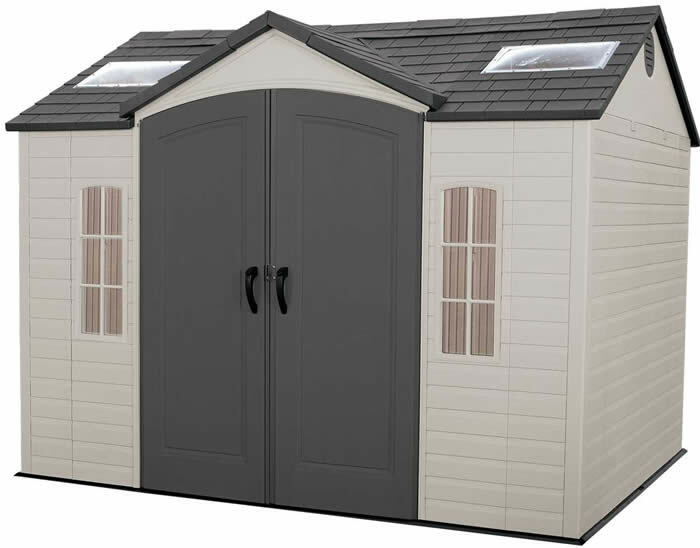 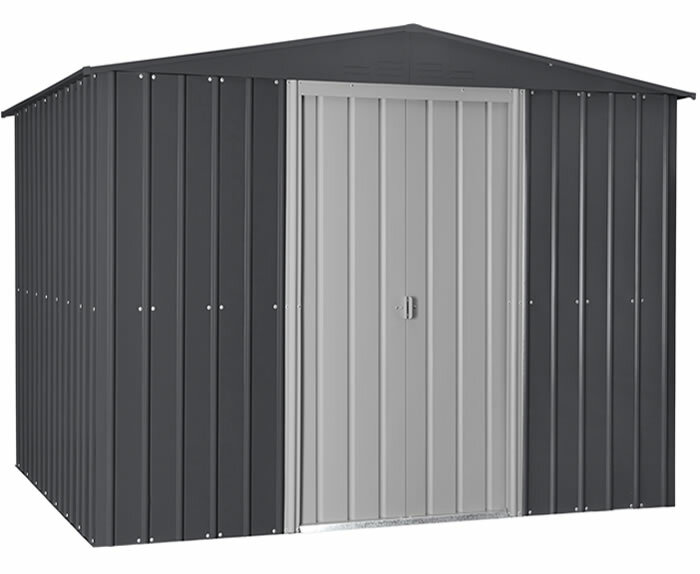 Constructed with a higher sidewall height than most sheds in the industry, this shed provides additional headroom and makes getting items in and out hassle free! 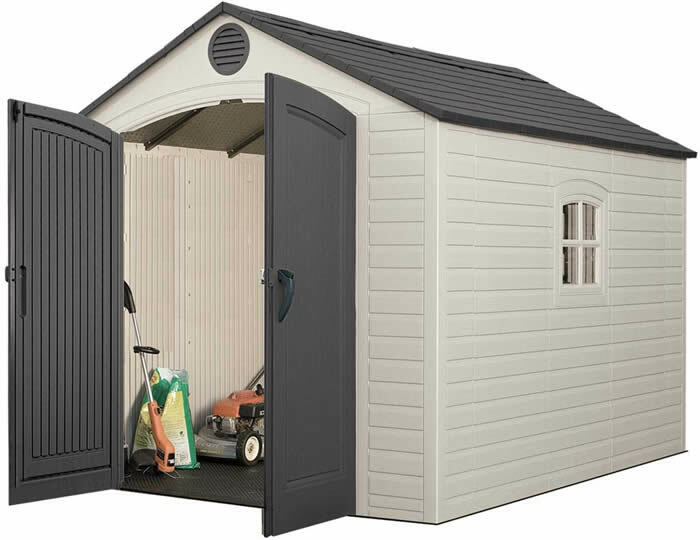 This high quality 26-gauge galvanized steel shed provides a safe and secure space for your lawn and garden tools, swimming pool items, outdoor furniture storage and sporting equipment. 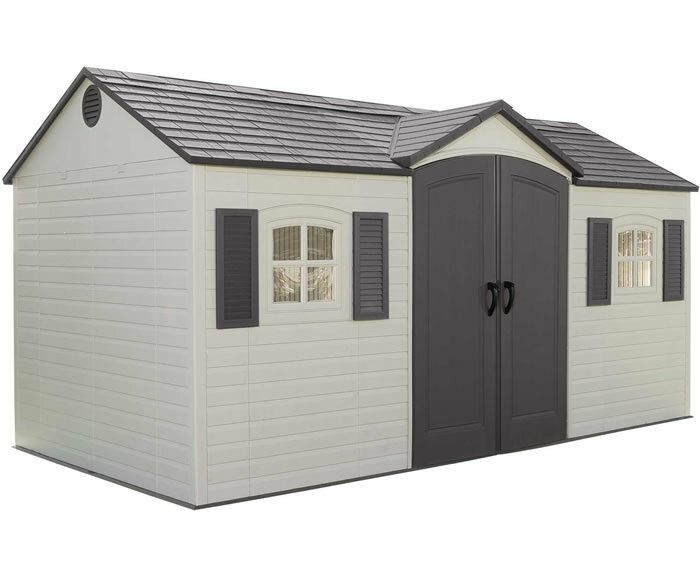 Modern gray and white color combinations complement any backyard space. 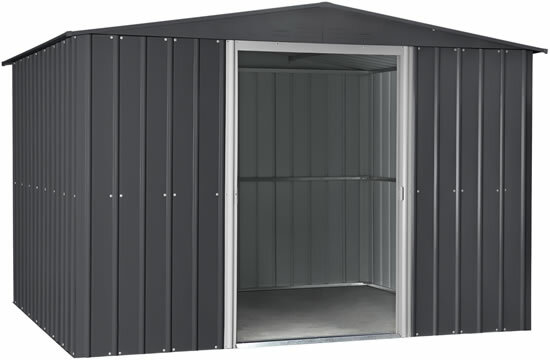 Pad lockable sliding doors keep your contents safe and secure. 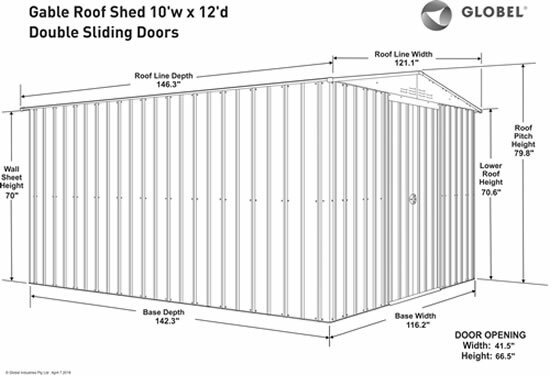 All parts are pre-cut and include pre-drilled holes for easy, fast assembly. 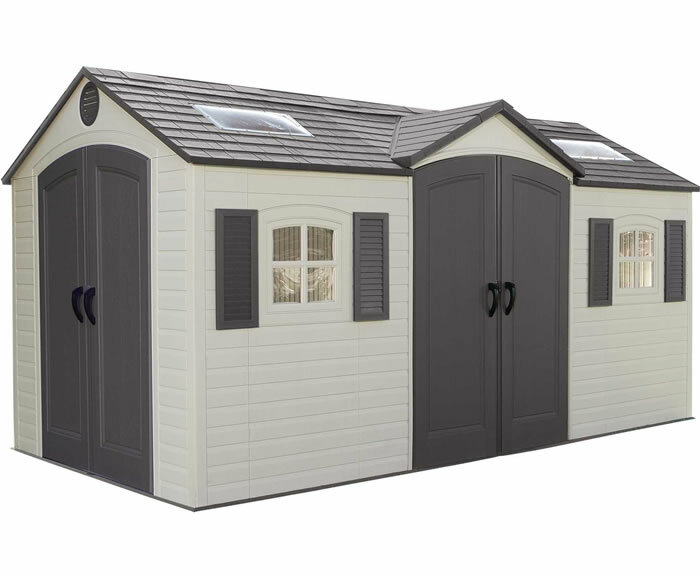 15 Year Limited Warranty included!